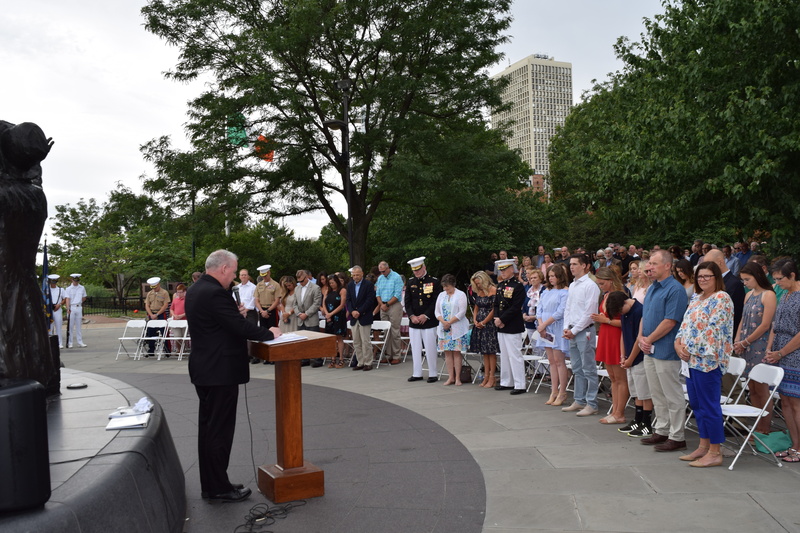 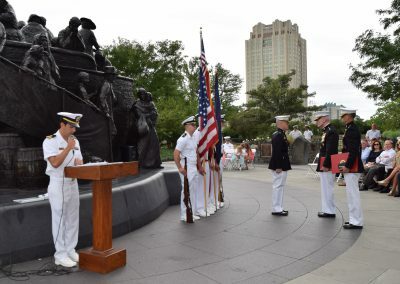 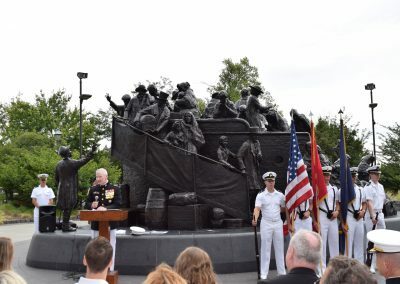 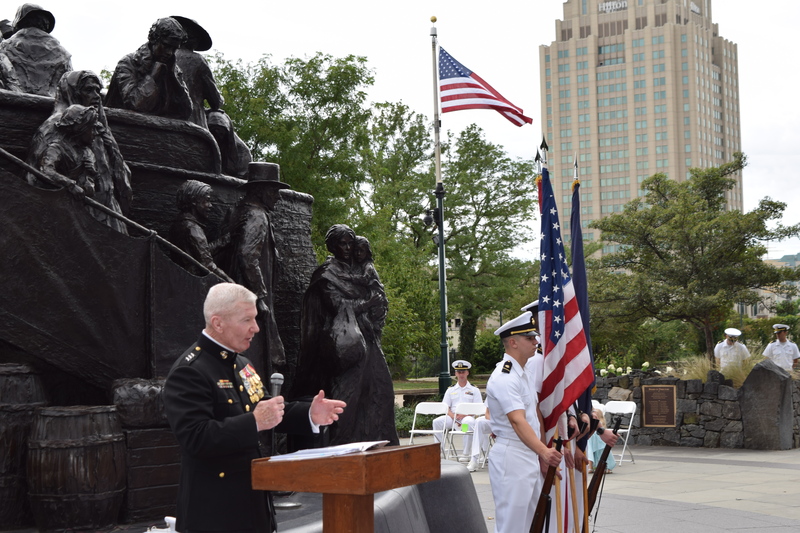 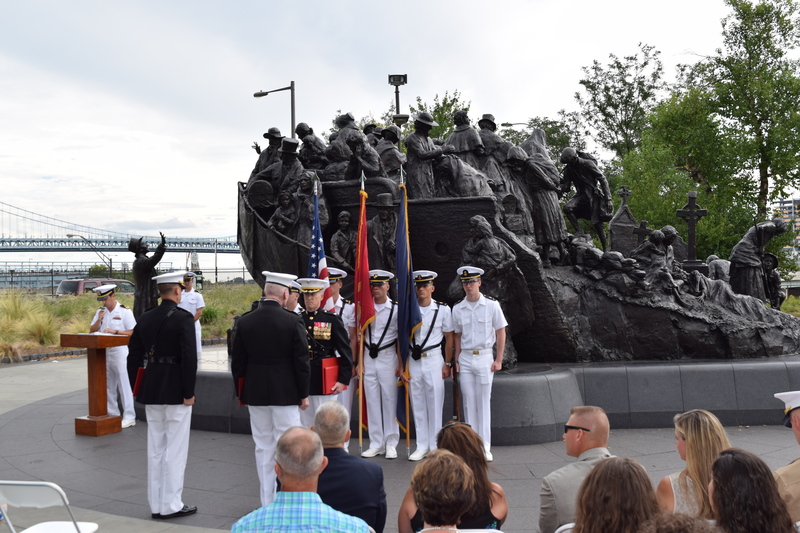 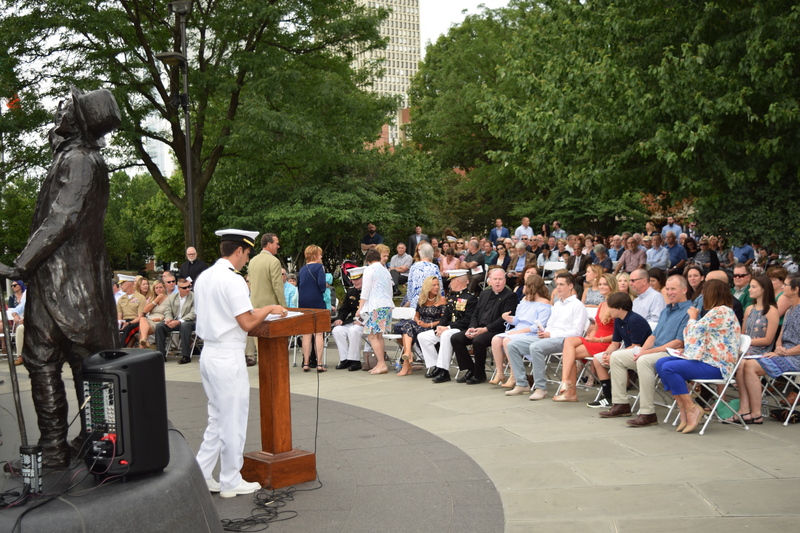 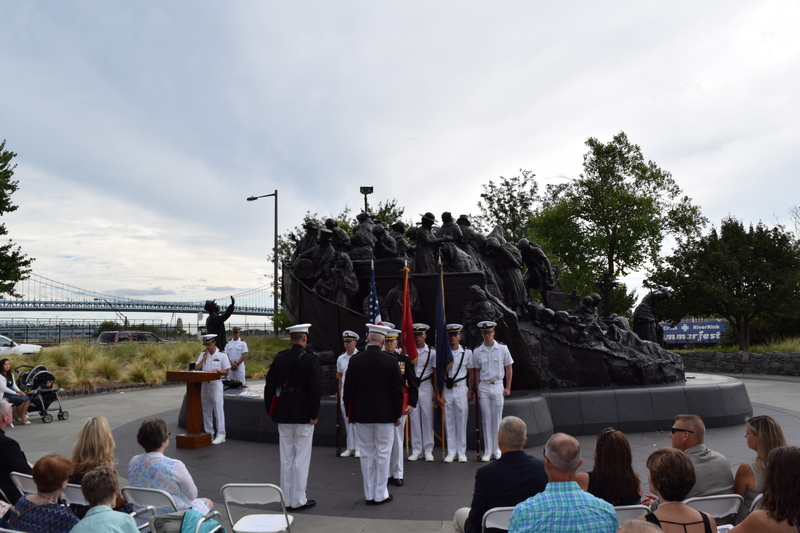 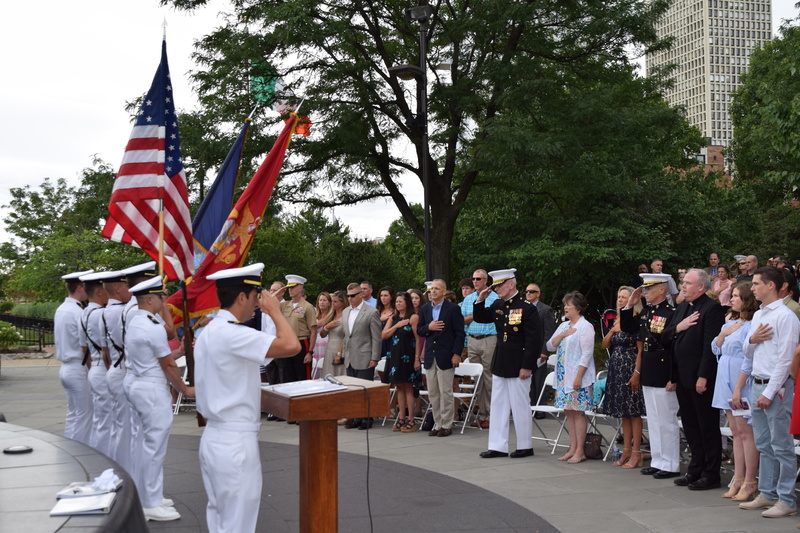 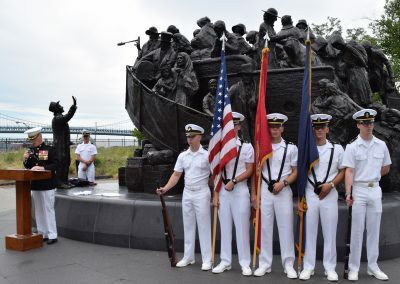 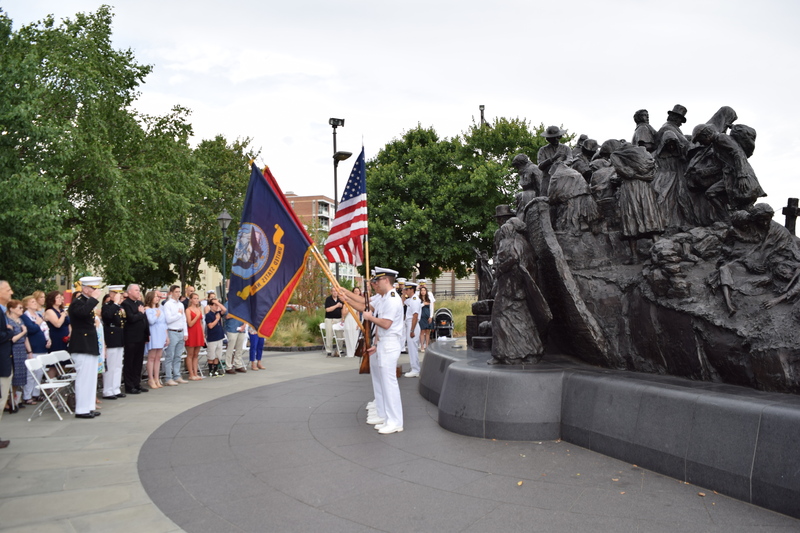 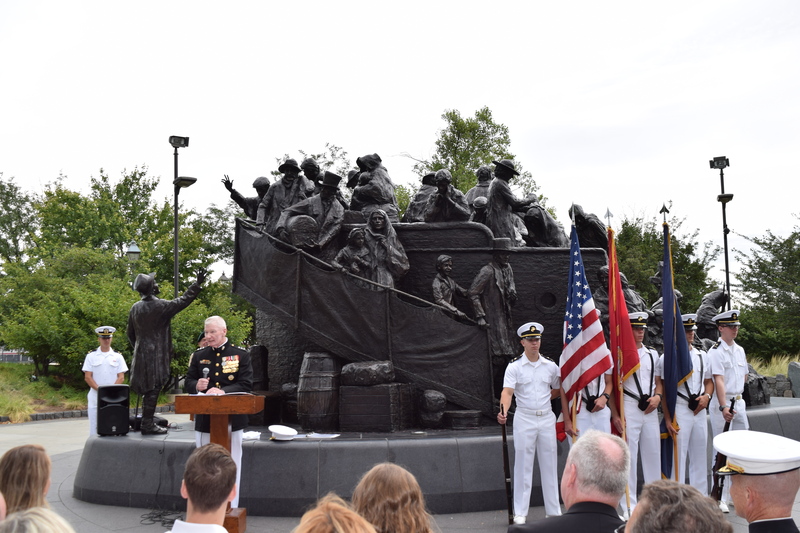 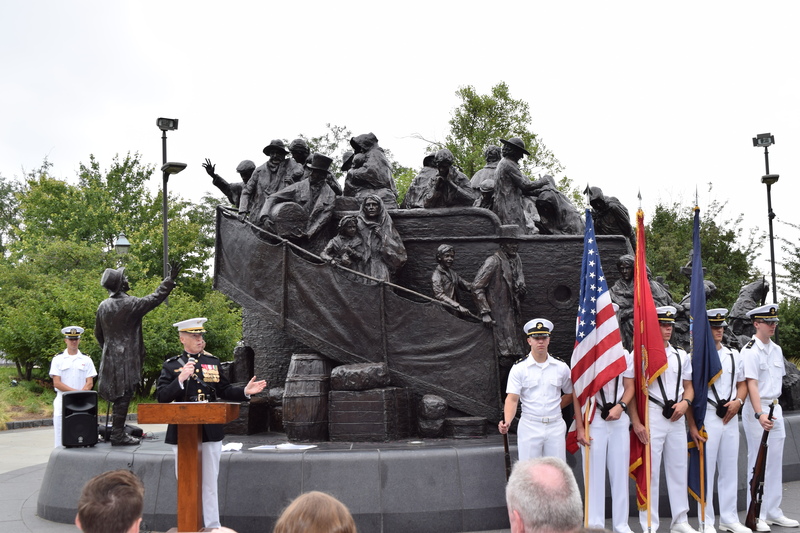 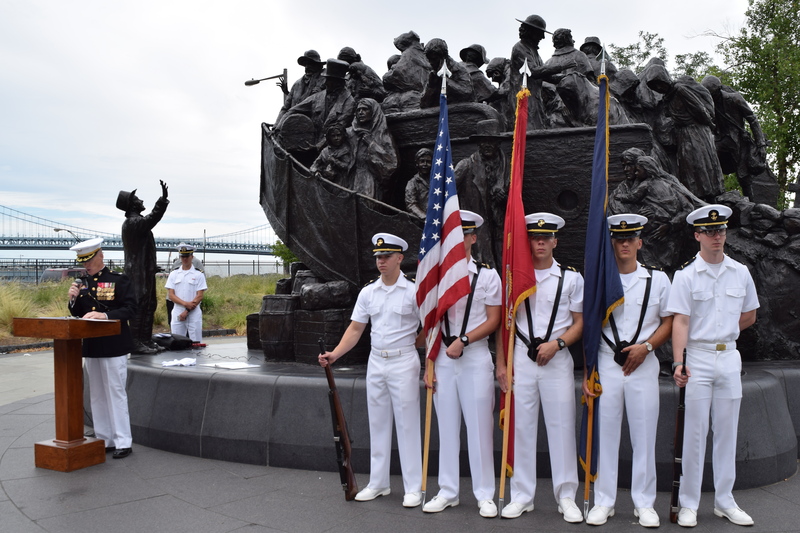 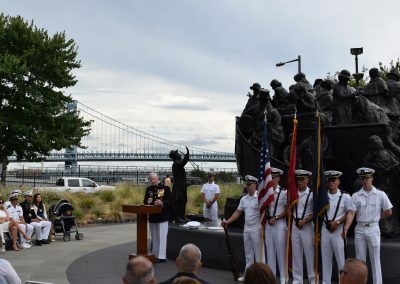 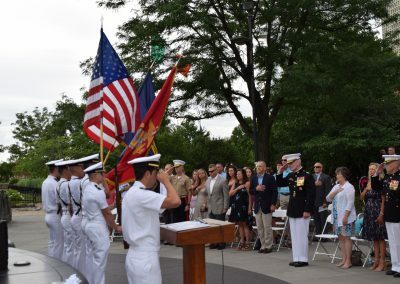 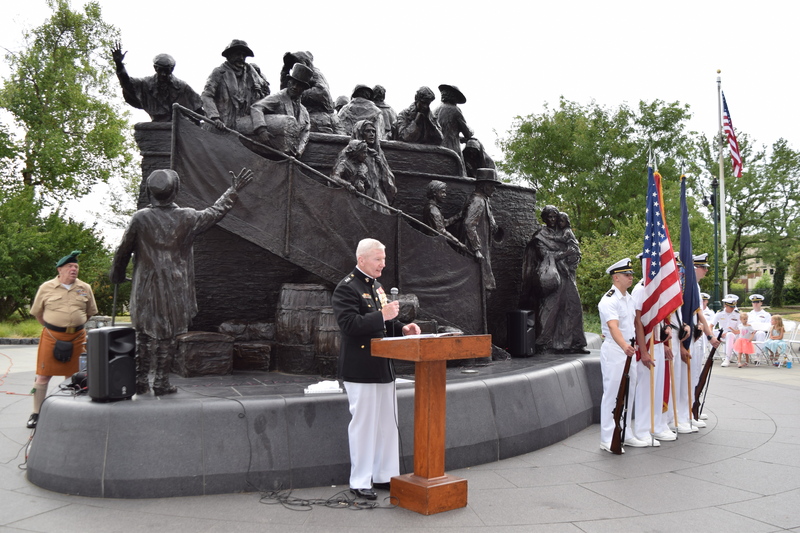 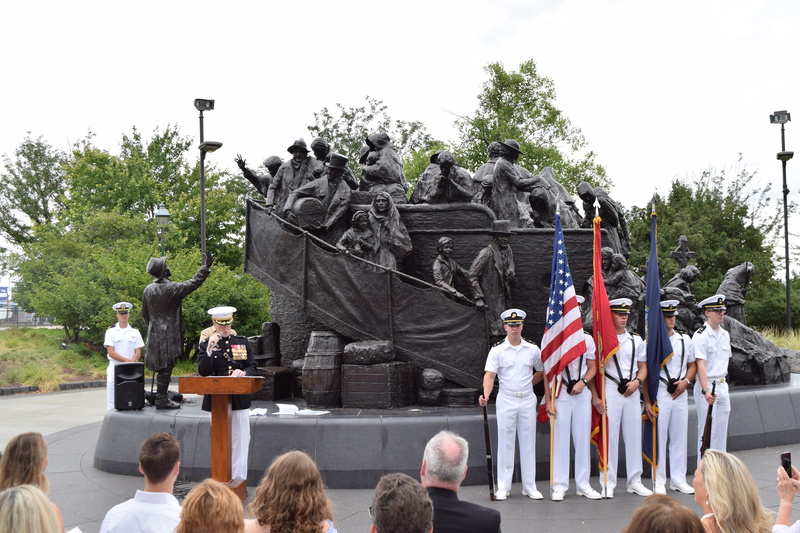 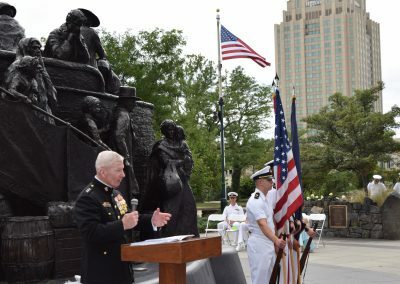 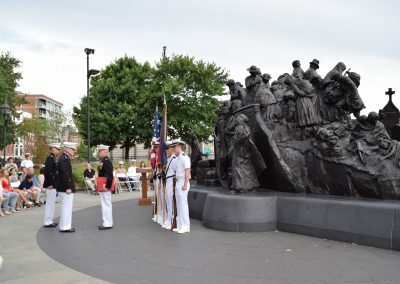 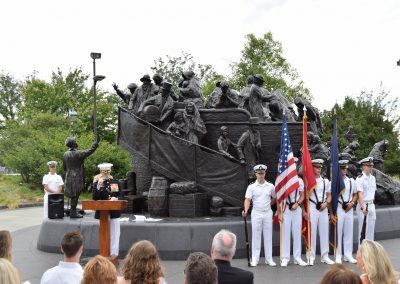 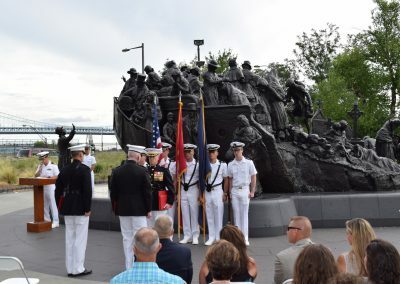 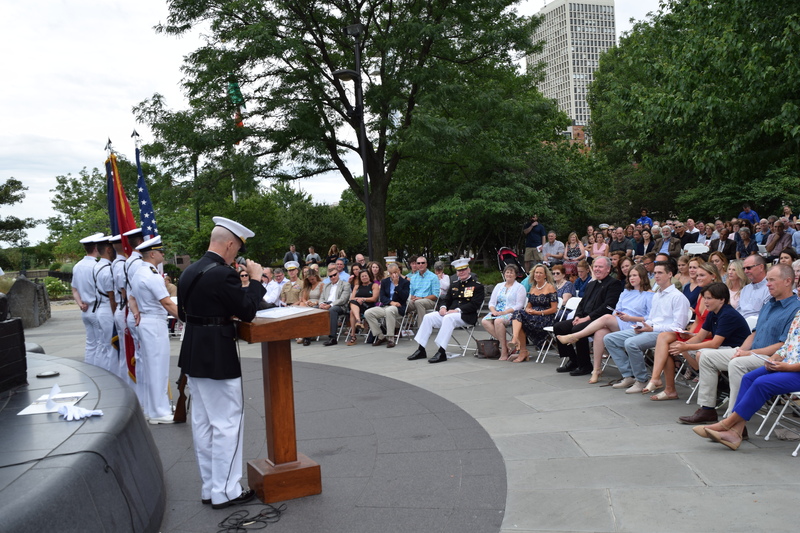 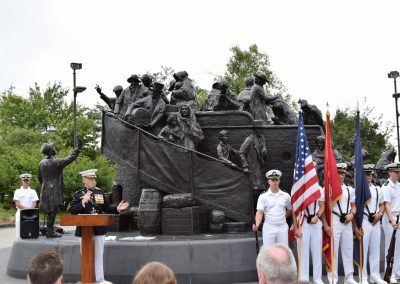 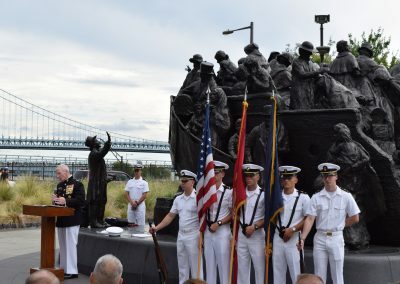 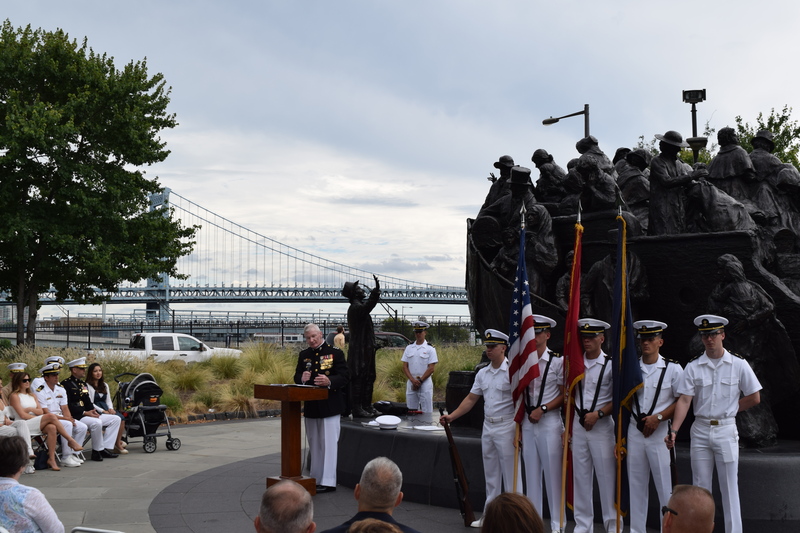 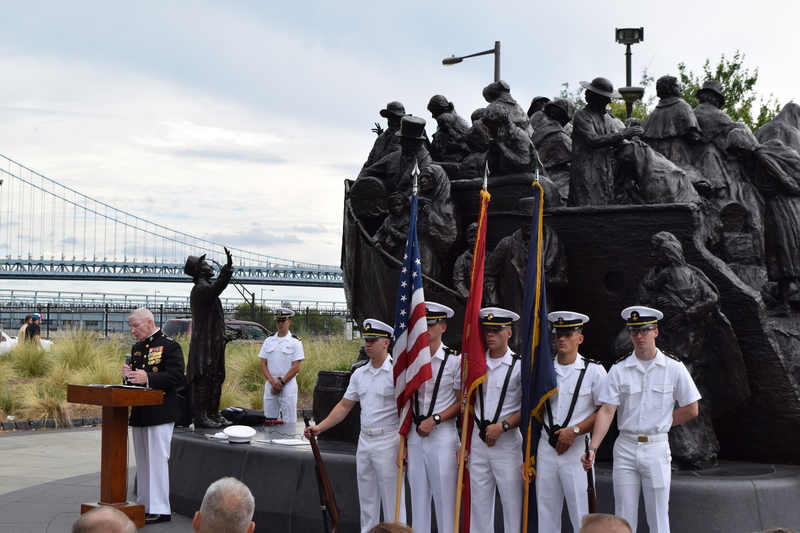 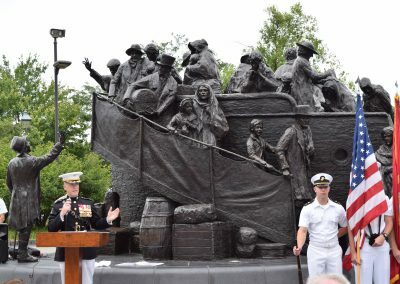 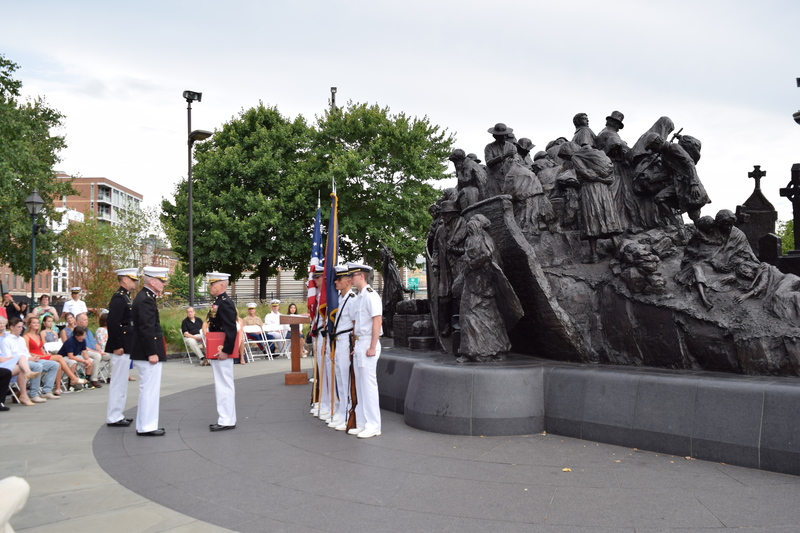 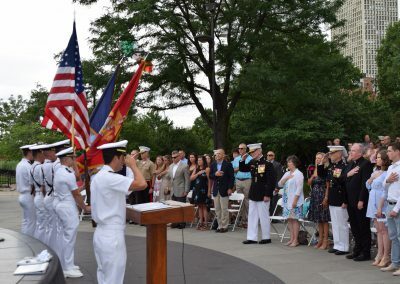 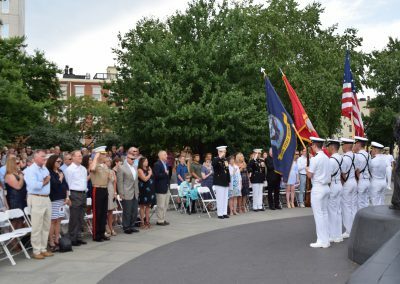 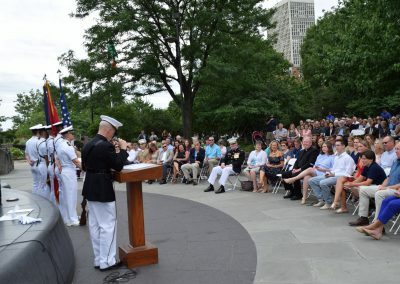 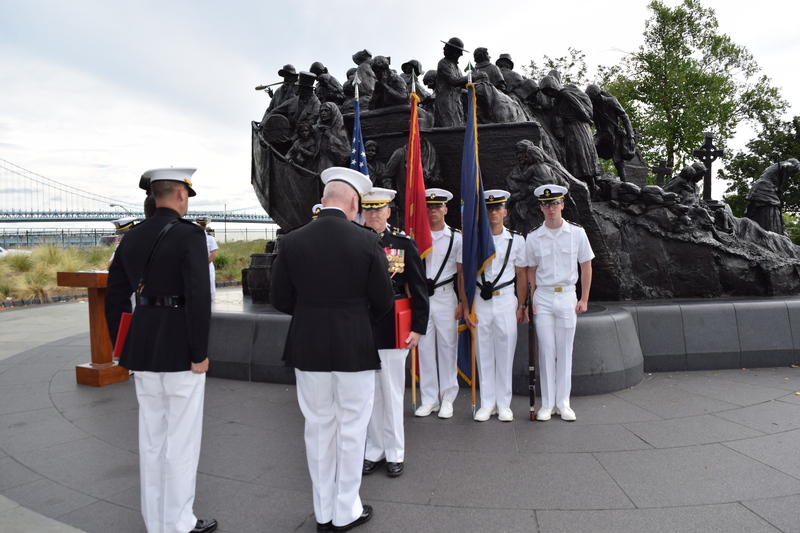 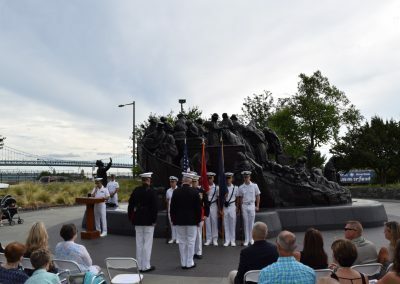 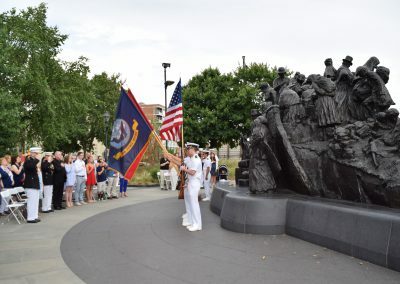 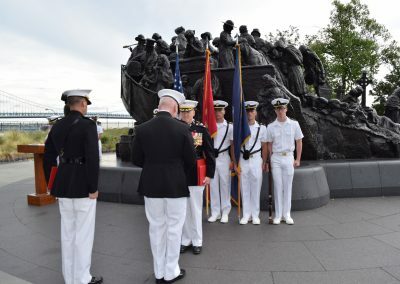 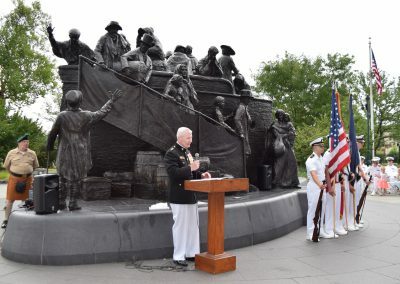 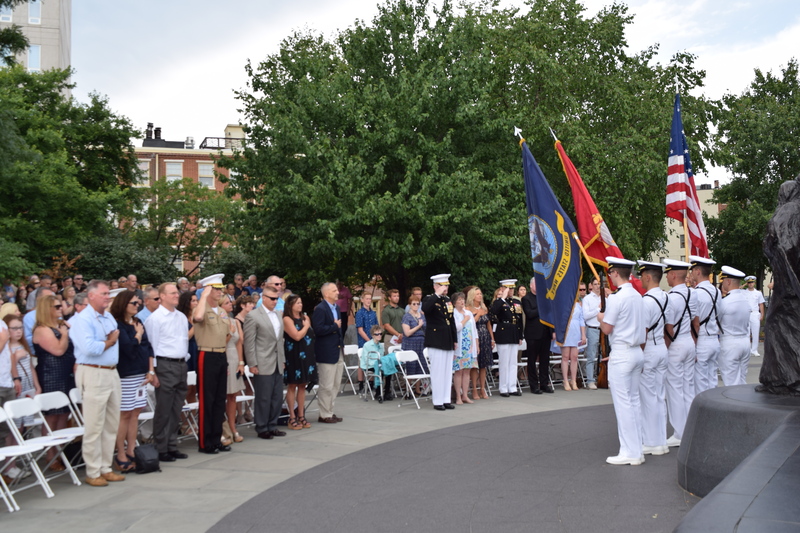 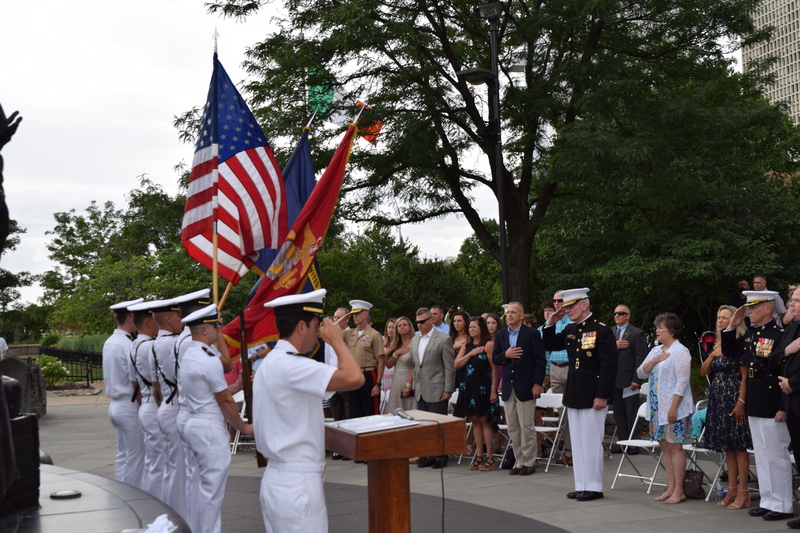 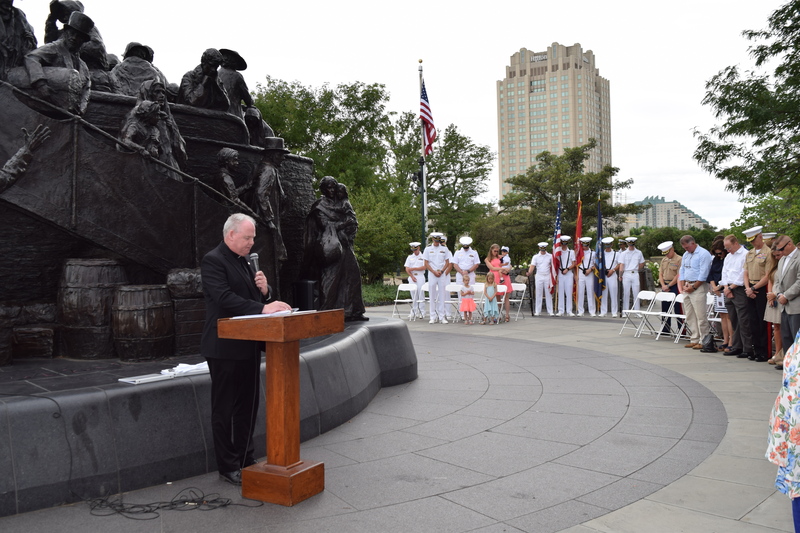 Tuesday, July 21 – It was a proud day for the Irish Memorial to be the stage chosen by Colonel Kenneth M. DeTreux’s for his retirement ceremony. 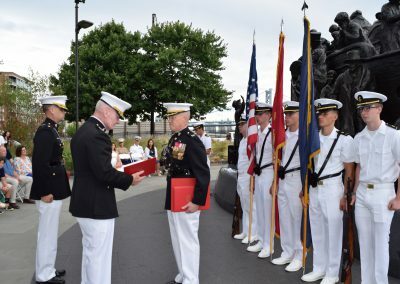 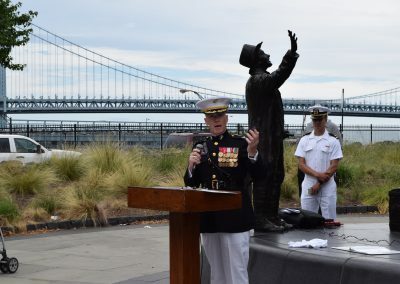 A native of Philadelphia, Colonel DeTreux graduated from Cardinal Dougherty High School and attended Temple University while cross-town enrolled in the Naval Reserve Officer Training Corps (NROTC) program at The University of Pennsylvania. 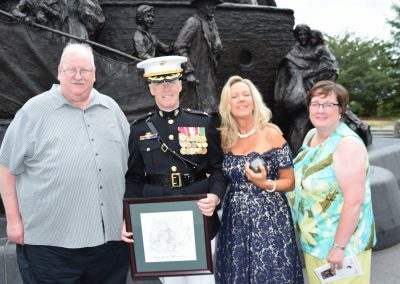 A career infantry officer, with over 30 years of operational and leadership experience, he has earned numerous personal awards, including the Legion of Merit w/gold star in lieu of 2nd award; Bronze Star w/Valor Device; Defense Meritorious Service Medal; Meritorious Service Medal with gold star in lieu of 2nd award; the Navy-Marine Corps Achievement Medal; and the Combat Action Ribbon with two gold stars in lieu of 3rd award. 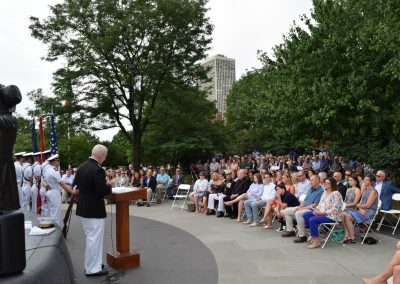 Over 250 friends and family attended along with his wife and partner for over 33 years, Kathleen Donohoe DeTreux, a Registered Nurse with the VA and their 4 children. 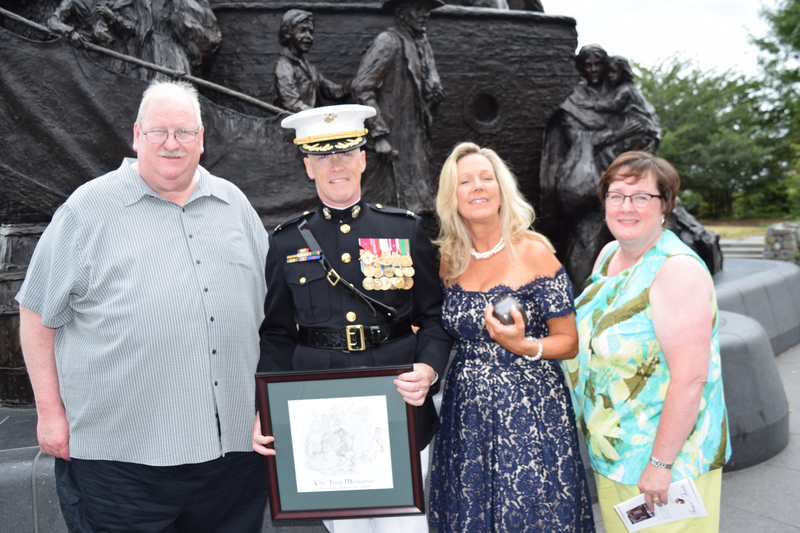 Lieutenant General John “Jocko” Toolan, Jr. USMC (Ret.) 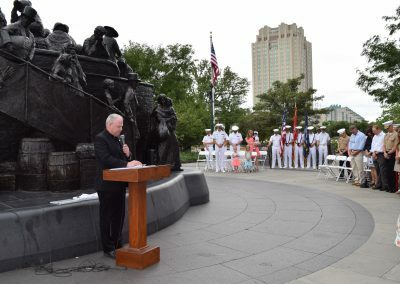 was the guest speaker for the event. 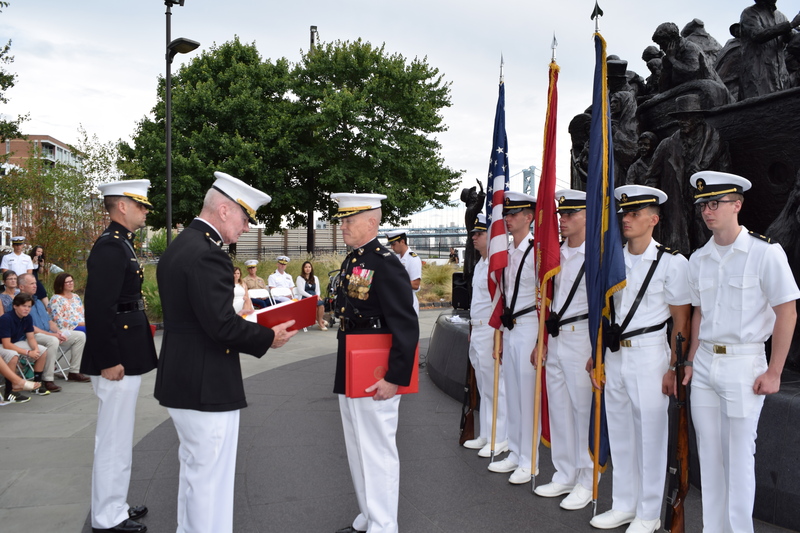 Amongst his many years of illustrious service, he served as the Commander, Marine Forces Pacific, 2014 – 2016, before he retired. 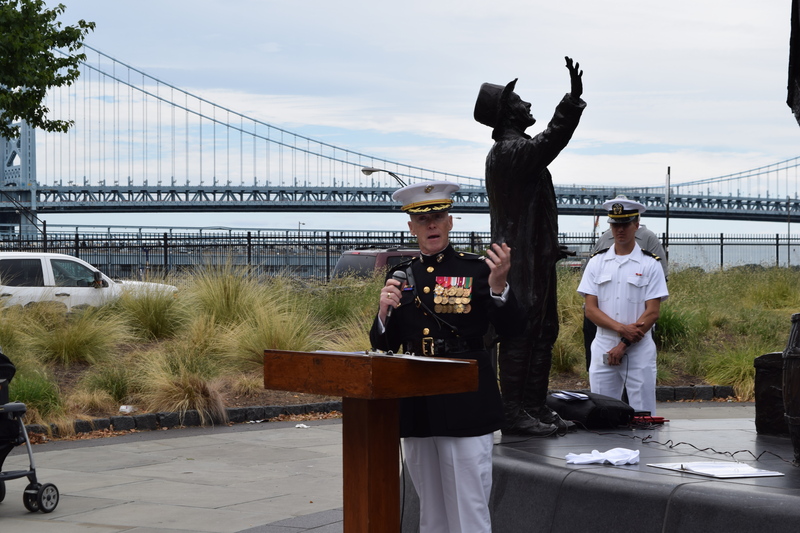 And the weather you may ask? 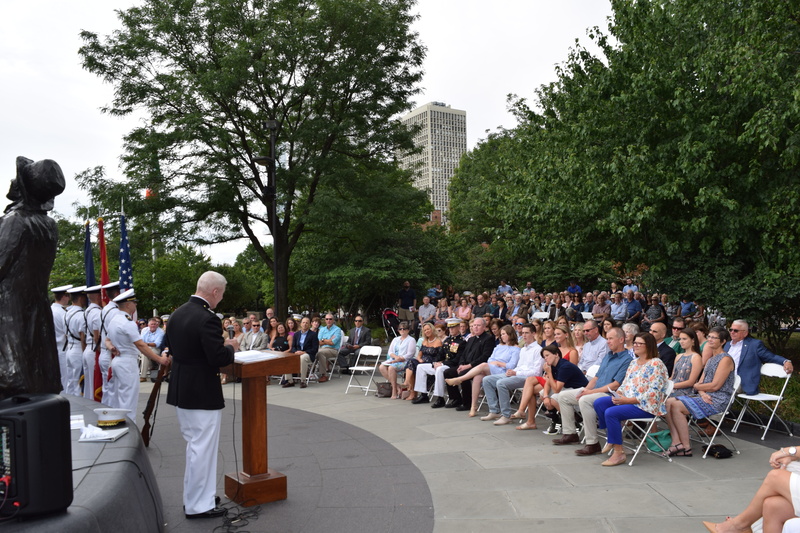 Just a little rain and it wasn’t too hot – so, all in all, it was a perfect day at The Irish Memorial! 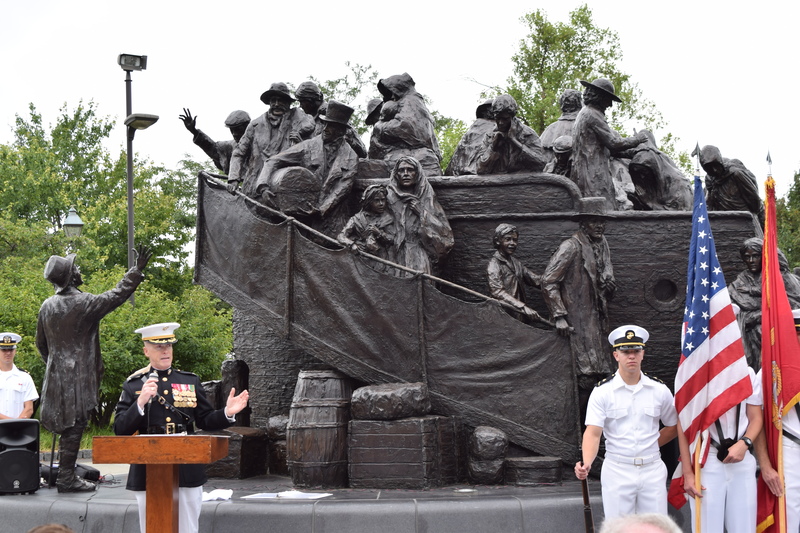 Previous110 Skibbereen Girls to be Honored – Sent to Australia during The Great Hunger.